WBJEE 2019 Result will possibly declare on 23 May 2019. Official link to download the result is given below. 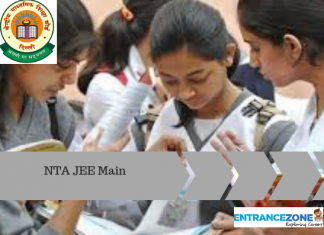 West Bengal Joint Entrance Examination Board conducts the exam every year for the Engineering as well as Medical aspirants, And The joint entrance test offers admissions in the various private and government colleges of West Bengal. Board will prepare a list of qualified candidates. And, these candidates will be eligible to attend the counseling process. Also, the WBJEE board will send an official counseling letter to the selected candidates. 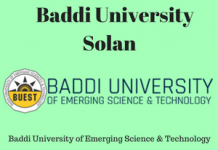 How to check WBJEE 2019 Result online? How To Obtain Duplicate Rank Card? Steps to check WBJEE 2019 Result is given below. Firstly, visit the official website of the board and follow the link related to the result. The candidate should log in using the login Id and the password. After a successful login, the result will flash on the screen. Further, the candidate must take a printout of the scorecard. And carry it with them at the time of counseling. A candidate should also carry the valid ID proof along with the scorecard. The admissions to the various courses will be based on the score and rank of the candidate. The WBJEE 2019 will release the counseling schedule after the declaration of result. Counseling dates will probably lie in the month of July 2019. The result of the examination will decide the stream the candidate will get. Moreover, it is compulsory to carry the result/scorecard during the counseling process failing which the candidate will not be given admission. The West Bengal Joint Entrance Examination Board will announce the results, all the applicants who appeared in the exam will receive the result which will include the marks along with the rank that has been secured by them. The duplicate rank card will be available even after the counseling and admission session conducted by WBJEEB. Candidate can get a duplicate rank card by applying and paying a Demand Draft of Rs. 500/- in favor of ‘West Bengal Joint Entrance Examination Board’ payable in Kolkata. GMR shall be made on the basis of total marks obtained in Paper 1 & Paper 2. This list shall be applicable to admission to all Engineering/ Architecture/ Technology courses and Pharmacy Courses at Jadavpur University. 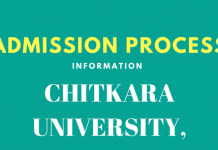 Admission and Counseling will be done on the basis of General Merit List (GMR) only. Applicant appearing in both Paper 1 and Paper 2 will secure both GMR and PMR if scored above the cutoff marks. PMR shall be made on the basis of total marks obtained in Paper 1 only. Pharmacy Merit Rank shall be applicable for admission to all Pharmacy courses except at Jadavpur University. Admission and Counseling will be done on the basis of PMR only. 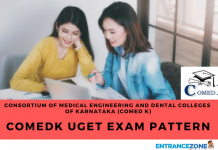 wbjee results 2019, wbjee rank card, wbjee login, wbjee medical 2019.